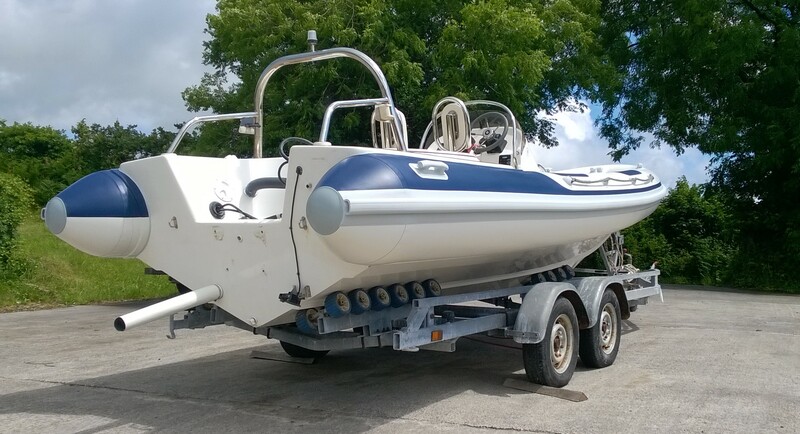 This Ribtec 655 has had some extensive work: new stainless steel under-deck fuel tank; GRP and stainless steel clean/polish; new hatches; new upholstery; retube and the fitting of an imitation teak deck. The tubes are in ‘Off White’, with ‘Ocean Blue’ flashes, ‘Ocean Blue’ wear patches and grey fittings. Inspiration for this boat has come from ‘Golden Odyssey’s’ tender ‘Golden Thunder’. 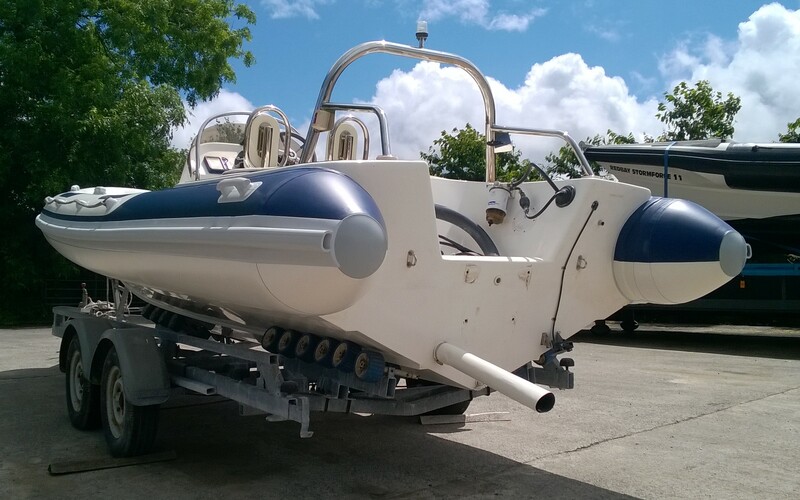 The owners have described her as “very smart” and looking “brand new, but better”.